Nowadays, more seniors prefer to spend the later years of their life at homes instead of an assisted living facility. 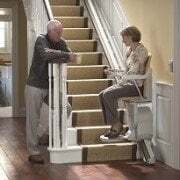 But, as our loved ones’ age, their mobility usually reduces, and this can develop tremendous difficulty in navigating the stairs of their homes. Thus, the need for stairlift installation. A Stannah Stairlift installation serves as the best solution to this issue. But, when setting up a stairlift, it’s essential to select the best model that suits your specific needs. Why Do You Need One and What Is Involved? If you’re struggling to use the staircase, a perfect stairlift installation might be your solution to independence in your home. A stairlift installation implies that you do not have to take drastic measures like shifting the bedroom downstairs or moving to alternative accommodation. That is because a stairlift will enable all seniors to access all floors of their property. 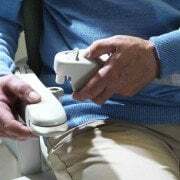 Stairlifts can be mains operated, or powered by a battery and are used to glide wheelchairs and people easily and smoothly up and down the stairs. Here at Stannah in the Mountain West, we offer stairlift installations for all kinds of staircases and stock a perfect choice of curved stairlifts and straight stairlifts. Contact Stannah in the Mountain West to arrange a free no-obligation home visit and one of our stairlift installation specialists will be glad to guide you through the range of straight stairlifts or curved stairlifts available. 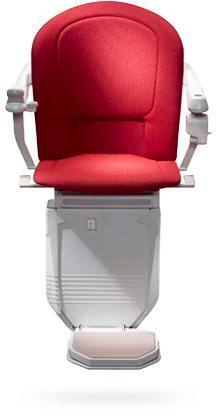 Stannah in the Mountain West Solutions’ range includes stairlift new models and refurbished stairlifts to select from. If you are unsure whether a stairlift is right for you, here’s our simple guide to why people need a stairlift and how they can assist them. 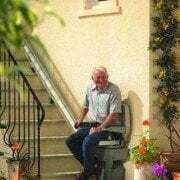 Do You Require A Stairlift? 1. Age -As we get older our muscles and joints do not work, and they used to. This means activities like climbing up and downstairs can become more difficult. If you or your relative wish to remain in their home but the stairs presents an issue, a stairlift installation is an approach to consider. 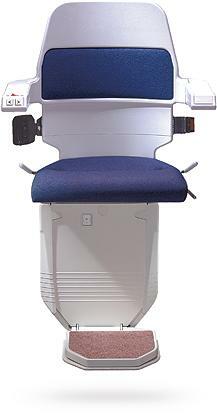 Stairlifts can be installed in many models and properties can be select to suit individual requirements of a person. 2. 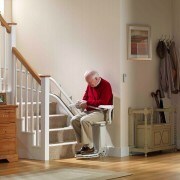 Following an Accident -A stairlifts are not only meant for the elderly. It can be installed permanently or temporarily to assist a person deal with low mobility after an accident. 3. Illness – People with a degenerative condition or illness can find it difficult or impossible to move up and down stairs, and therefore, a stairlift can be life changing, giving them back some independence. 4. Disability -Stairlifts can also help people who have a disability to enjoy greater independence and freedom in the home. There is a broad range of different straight stairlifts and curved stairlifts with extras and options, to suit your requirements. 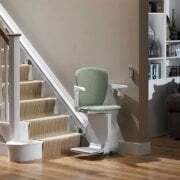 Choosing a good stairlift is about understanding your needs and choosing the most appropriate solution.